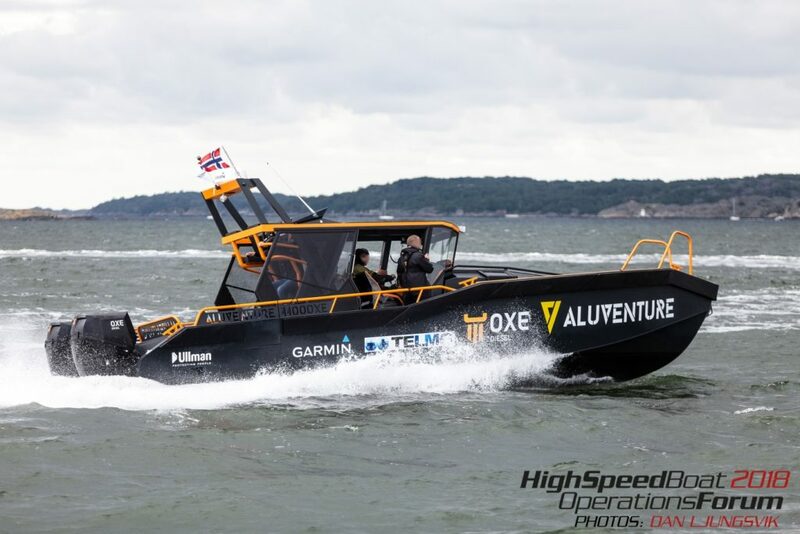 AluVenture, the Norwegian producers of aluminium boats, have recently celebrated their success in completing a 4,000 km round trip in their new 11000XE model boat from their base in Oslo to Seawork in Southampton, London, Scotland and then back to Oslo. The journey was the perfect opportunity for AluVenture to prove the quality of their new boat and the reliability and durability of the two OXE Diesel Outboards powering the vessel. The 11000 XE is AluVenture’s largest model to date. It is 11m long and 2.8m wide. Due to the high torque of the OXE Diesel Outboards this model can reach top speeds of 45 knots. The boat began its voyage in Oslo and headed straight down the West Coast of Sweden to Angelholm. 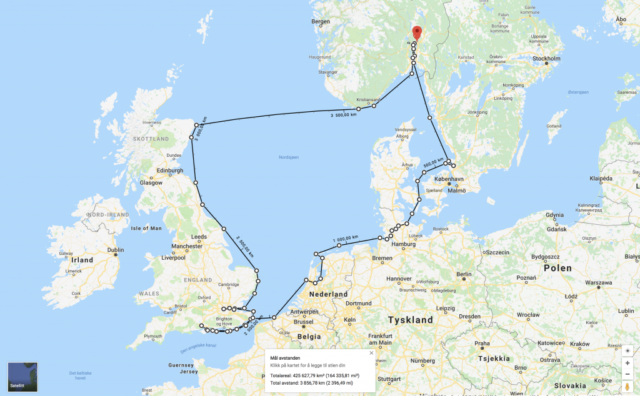 From there, the boat travelled to Germany and through the 99km long Kiel Channel which connects the Baltic and the North Sea. Within the channel there was a maximum speed of just 8 knots, making the journey through the channel a long 7 hours. The next leg of the journey was to Amsterdam and then onto Dover, finally ending up in Southampton for Seawork 2018 where it was able to demonstrate its operational capabilities to potential consumers. 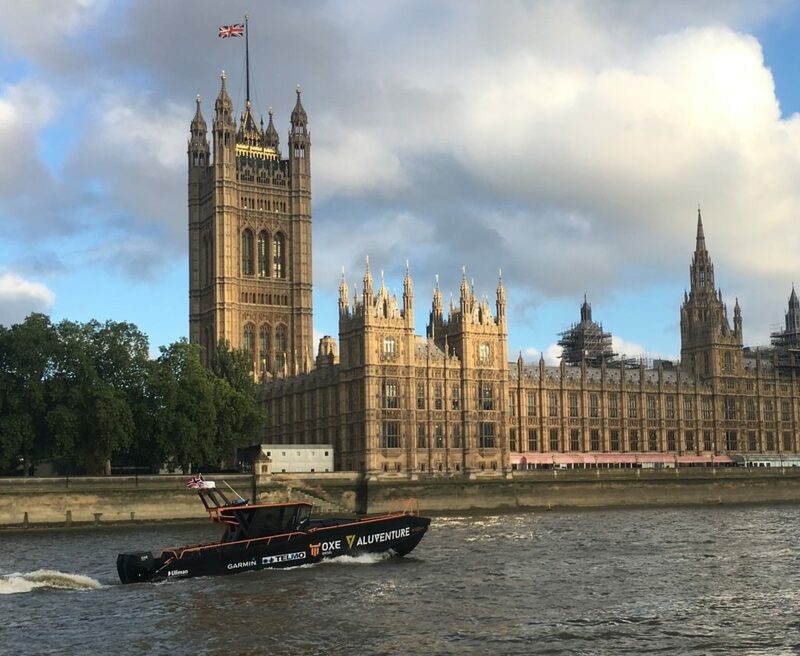 The crew decided to take a different route home via the River Thames and the Houses of Parliament before travelling up to Peterhead in Scotland, stopping at Lowestoft, North Shields and Lindisfarne. The final stretch of the journey was 303 nautical miles back to Norway across the North Sea. The trip took a total of 10 days. The longest run was from Peterhead in Scotland to Mandal in Norway which took 13 hours. The first 11hrs were at 27kn in good conditions. The last two were at 14kn in bad conditions. In total the boat used approximately 4,900ltrs of diesel, including day trips during Seawork demonstrating the significant fuel economy of the OXE engines. The AluVenture 11000XE is now departing on another voyage around Norway leaving from Halden and finishing in Kirkens to display this innovative vessel and the OXE Diesel outboard across Norway. OXE Diesel Outboards are extremely well suited to commercial users. They offer the potential for extended journeys, fuel efficiency, low maintenance costs and improved acceleration. Proteum is the official distributor for the UK and Ireland. To enquire about the OXE for your vessel, please contact Proteum today!